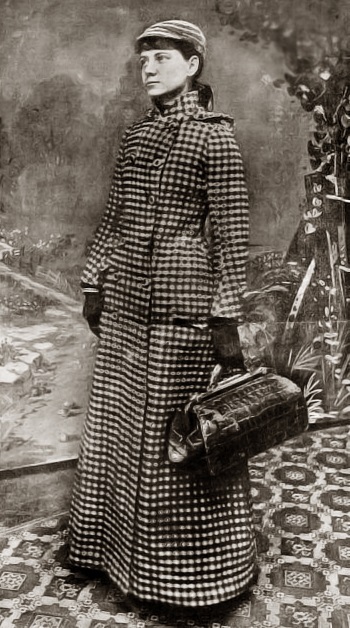 Though a far more serious investigative journalist earning her credentials for her undercover exposés on working conditions in factories and mental institutions, reporter and foreign correspondent Nellie Bly (the nom de plume of Elizabeth Cochrane Seaman) was dispatched on this day in 1889 on a round-the-world voyage—with only two-days’ notice, to match or best the record established by the Jules Verne novel. Editors at Bly’s newspaper had been contemplating this sort of publicity race (at Bly’s suggestion) for some time and the last-minute dash materialised once a competing New York publication announced that they’d be sending out their writer Elizabeth Bisland also on a quest to circumnavigate the globe—but in the opposite direction, westward-bound and then steaming across the Pacific. 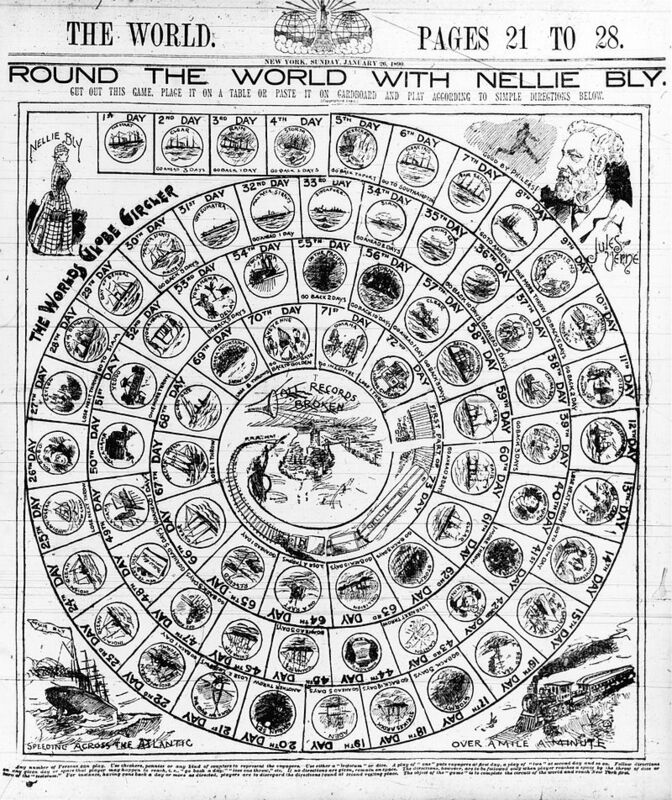 A missed connection in England ultimately cost Bisland the contest, with Bly returning triumphant (only informed of her competitor by the time she arrived in Hong Kong) in New York after seventy-two days. 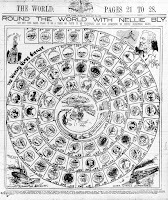 Bly’s sponsorship by a daily newspaper rather than a monthly magazine as Bisland with constant coverage and a prize on offer for the reader who could guess the date and time of her return was also a motivating factor for the intrepid traveller. Bisland finished four-and-a-half days later, both adventurers beating the benchmark set by Verne.